Идеальный вариант, если в вашем гоночном корче недостаточно места. Данный вольтметр идеально впишется, ведь его диаметр всего 37мм. 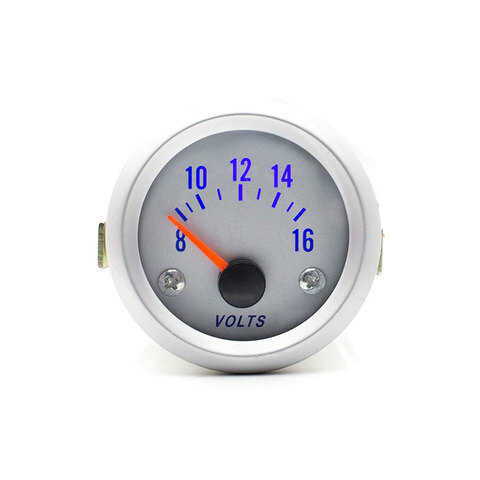 Miniature Digital Electronic Voltmeter with inbuilt dash mount in beautifull Purple Annodised body ! All gauges in this series (we have 7 different types available) are the same physical size - 70 mm long and an easily readable 37 mm diameter digital display (day or night). Weight is approximately 100 grams only !! This Voltmeter is a simple two wire fitting -complete !